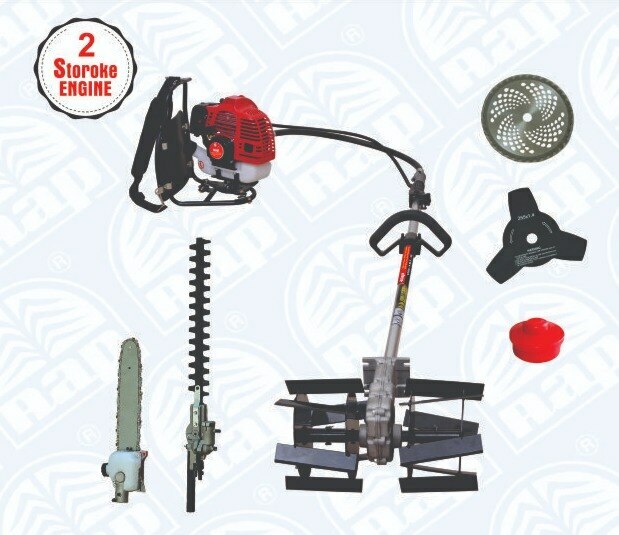 • Suitable for cutting the Crops, Wood Cutting, Weedy Plot, Tillage, Paddy field etc. • Single Cylinder, 53 cc, 2-Stroke powerful engine. • Less Labour, Less Time, maximum Saving. • Available with two set of different attachments.